The XPC nano is Shuttle's smallest product lines with only palm size. 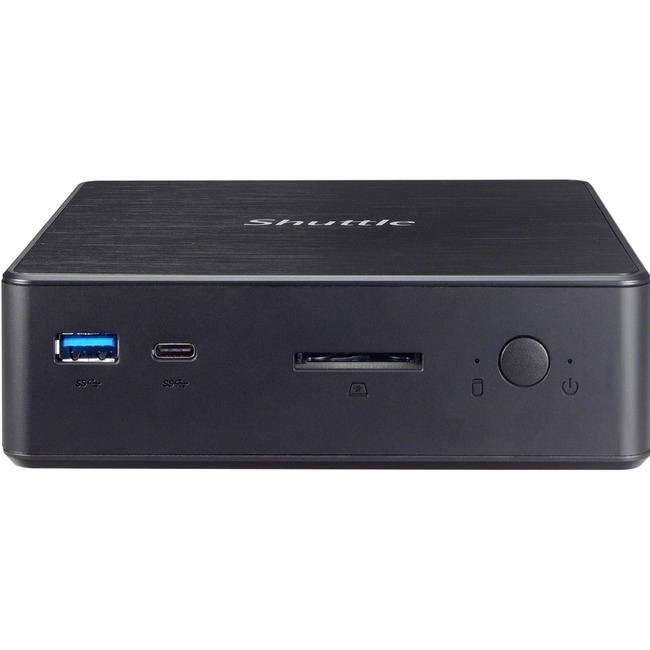 Shuttle's new NC02U series is next generation of NC01U series with support Intel® Skylake-U platform technology. This series comes with a selection of processors ranging from Celeron, to the Core i7 and supports up to 32 GB of DDR3L 1600 low-voltage memory. With integrated HD graphics, the series is capable of playing 4K/Ultra HD content. Compared to NC01U series, NC02U series uses new mechanism design for easy installation of memory module and storage. This case can accommodate one 2.5" HDD (up to 15mm) to provide its more flexible storage capacity without volume limited. This series offers plenty of I/O ports in spite of its small size: HDMI, DisplayPort, USB3.0 (Type A, Type C), USB2.0, RS232, M.2 slot and Intel® Gigabit Ethernet as well as built-in 802.11 b/g/n wireless network. The NC02U series is VESA mount ready to make it easy to blend in anywhere: home, office, storefront, and more.